As a Gator, it pains me to share this, but I’ll put aside my collegiate loyalty for Pulse readers ;). 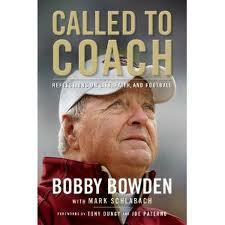 Friday, August 27, Former FSU Coach Bobby Bowden will be at Borders Bookstore in Winter Park for a discussion and book signing for his release “Called to Coach. When: August 27, 2010, 7 p.m.
Space may be limited; arrive early.